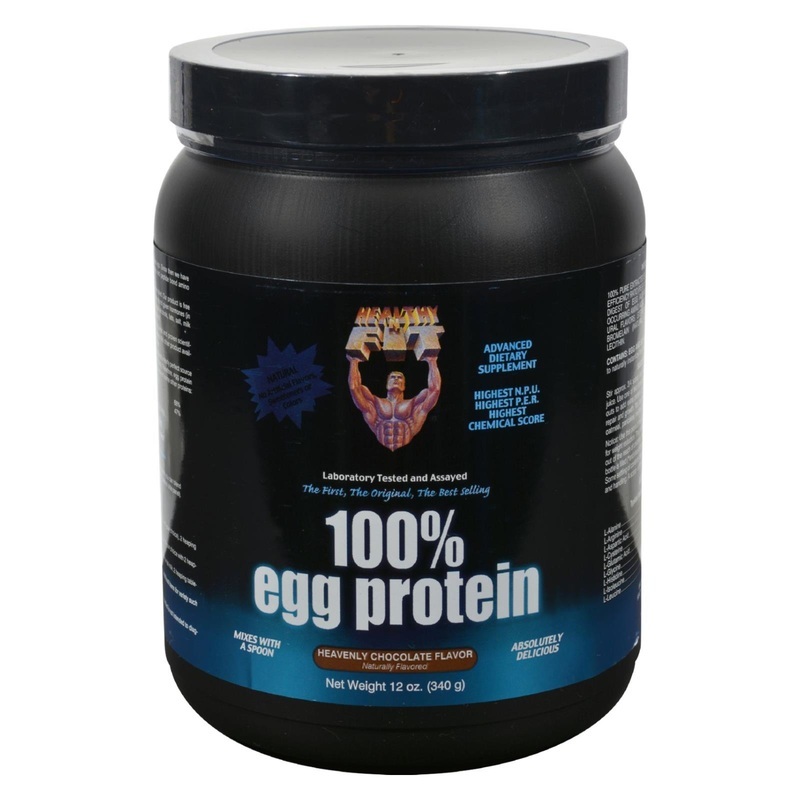 FACT - Healthy 'N Fit pioneered and developed the first 100% Egg Protein over 30 years ago. Since then we have been the leader in egg protein technologies. This product contains 100% egg white proteins and peptide bond amino acids, as well as the natural enzymes Papain and Bromelain. FACT - Healthy 'N Fit was the first company to introduce an all natural egg protein to the market. This product is free from artificial flavors, sweeteners, colors and preservatives. The chickens the eggs come from are not given hormones (in compliance with USDA regulations for all eggs). This product contains no added sugars, sugar alcohols, fats, salt, milk, proteins, gums, fillers, gluten or wheat ingredients. Al the amino acids in this product are natural. FACT - The Protein Efficiency Ratio (P.E.R.) and net Protein Utilization (N.P.U.) are both renowned and proven scientific methods for rating the quality of a protein and how well the human body can utilize that protein. No other product available has a higher P.E.R. (3.9 or greater) or N.P.U. 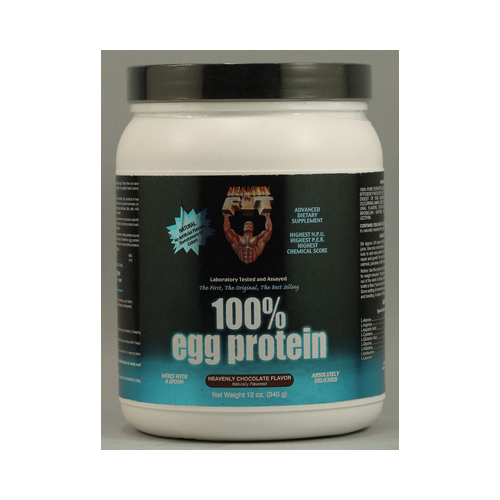 (94%) than Healthy 'N Fit's 100% Egg Protein. FACT - A protein's Chemical Score is based on the amino acid profile. Egg protein is considered a nearly perfect source of protein because its amino acid profile most closely matches that needed by the human body. Therefore, egg protein has been given a rating of 100 in the chemical score. Free Of Artificial flavors, sweeteners, colors and preservatives, added sugars, sugar alcohols, fats, salt, milk proteins, gums, fillers, gluten or wheat products. Disclaimer These statements have not been evaluated by the FDA. These products are not intended to diagnose, treat, cure, or prevent any disease. Stir approx. 3/4 scoop into 6-8oz of cold water, low-fat milk or juice. Use one or two times daily between meals or after workouts to add extra protein to your diet and to support muscle repair and growth. you can also add the 100% egg protein to oatmeal, pancakes, muffins, shakes and more. *Daily value not established. Other Ingredients: 100% pure extracted egg albumen (with a protein efficiency ration (P.E.R) of 3.9 or greater), enzymatic digest of egg albumen containing naturally occurring amino acids, dutch cocoa powder, natural flavors, stevia herb extract, papain and bromelain (natural digestive enzymes), soy lecithin. Contains: Egg and Soy (lecithin). Soy Lecithin helps to naturally instantize the product. Warnings Notice: Use this product as a food supplement only. do not use for weight reductin. This product is formulated for adults. A scoop is included, but may settle to the bottom.